For our example of a Soviet Rifle Division OOB, I will use the 80th Guards Rifle Division highlighted in the previous blog. The 80th Guards Rifle Division was part of the 31st Guards Rifle Corps in the 4th Guards Army. Looking at a page from the book, “The Sword Behind the Shield” we get some useful information the author picked up from the Soviet Archives. We can see that the Rifle Divisions in the 31st Guards Rifle Corps each had approximately 5300 to 5800 men. At this point in the war the rifle divisions were suffering the most casualties and they were not being replaced as those replacements were going to the Armored and Artillery formations as a priority. We will see how the various Fronts reorganized the Rifle Battalions and Companies to accommodate these manpower shortages. In building our OOB for the 80th Guards Rifle Corps we need to acquire the subunit numbers for the various combat units. The most accurate source for this are the Soviet Perechins (Lists) of the various combat units in the Operational Army from 1941-45. Perechin No. 5 contains a listing of the Rifle, Mountain Rifle, Guards Rifle, Motorized, and Militia Rifle Division. These Perechins are available in digital format online at a few online web sites (www.netentplay.com). Above we see a page from Perechin No. 5 with the listing for the 80th Guards Rifle Division. As this is in Russian I will explain the wording. First line reads 80 Guards Rifle Division. The second and third line reads Converted from the 298 Rifle Division (second formation) on March 1, 1943 with the new numbering of the divisions subunits assigned in April 1943. 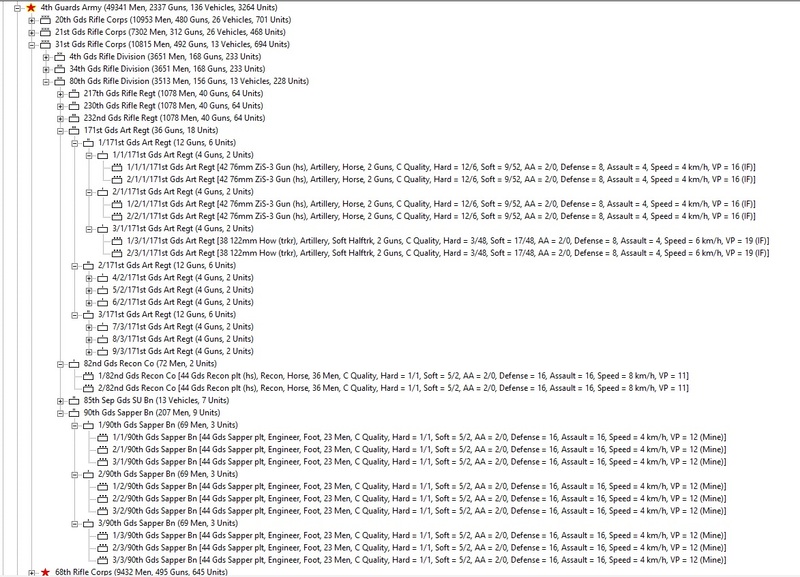 For these subunit numbers I have highlighted the combat units of the division. The Perechin uses abbreviation which once you decipher them they become easy to understand. We start with the three Rifle Regiments being numbered the 217th, 230th, and 232nd Guards Rifle Regiments. Next is the 171st Guards Artillery Regiment, then follows the 85th Guards AT Battalion, the 82nd Guards Recon Company, and last the 90th Guards Sapper Battalion. The rest of the units are the various rear are units such as the signal company and medical battalion, etc. Now that we have the makeup of the division with the correct numbering we need to look at the TO&E for the guard’s rifle divisions. The last Shtat (TO&E) for the rifle divisions that were in use through the end of the war was issued on December 10, 1942. This Shtat (04/550) was used for both regular and guards rifle divisions. The guard’s divisions were built slightly bigger in certain areas. I had been using the Charles Sharp books in conjunction with various Russian web sites for the TO&E of the various units. The Sharps books has very good information on the rifle and guards rifle divisions. 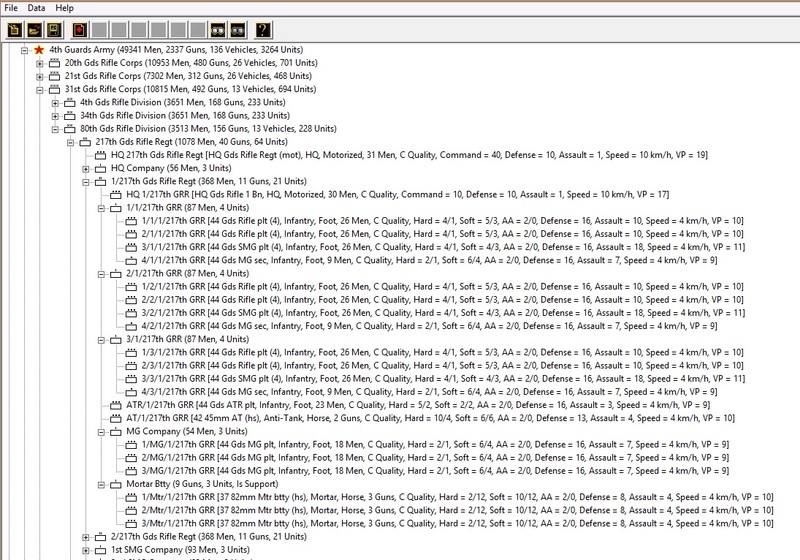 In fact, he discusses the changes for the guard’s units where they differ from the regular units. I have recently purchased over a 1,000 Soviet Organizational charts (Shtats) which go down to the squad level so I have been using these currently for my manpower requirements. Below is the chart for the 04/550 December 10, 1942 Shtat. I have translated most of the combat units and label them so you can understand this chart better. Let’s look at the Rifle Regiments. Off to the left of the first regiment there is the regimental command staff of 9 men. Under that staff, we have two (2) recon platoons, a cavalry platoon with 12 men, and an infantry platoon with 23 men. Next to the recon platoon is the signal company with 24 men. Directly under the regiment there is a Sapper platoon of 20 men and then a SMG company (the guard’s divisions had 2 companies). This company was made up of 3 platoons with 31 men. The Infantry Gun Company had 4 x 76mm guns with three platoons of 2 guns each. The AT Company had 6 x 45mm guns with three platoons of 2 guns each. The Heavy Mortar battery with 7 x 120mm mortars (the guard’s divisions had 8), this had two platoons with 2 mortars each and one platoon with three mortars. The guard’s division had 4 platoons of 2 x 120mm mortars each. And finally, an AT Rifle company with 71 men and 27 AT rifles in 3 platoons with 22 men and 9 AT rifles. Next let us look at the Rifle Battalions. 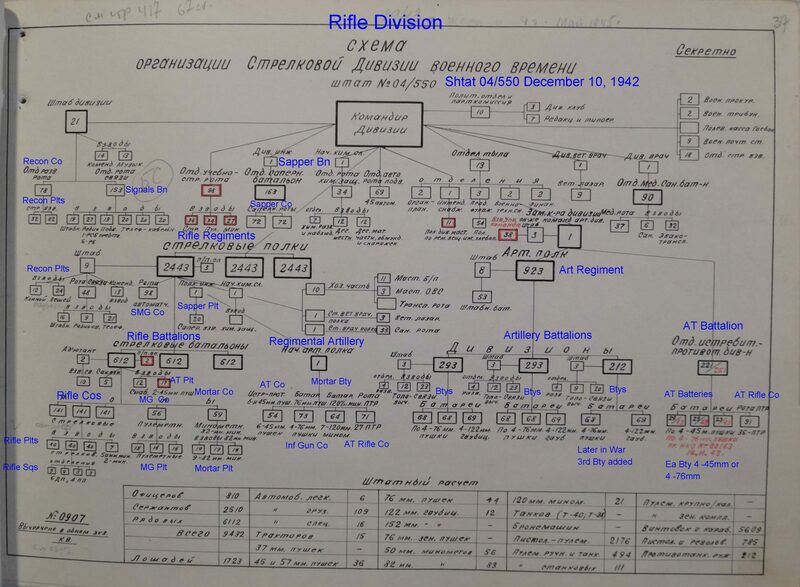 The battalion had three rifle companies, a machine gun company, a mortar company, an AT platoon, and missing from this chart an AT rifle platoon. To break down these companies the machinegun company had three platoon with 18 men each and the mortar company had three platoons with 19 men and 3 x 82mm mortars each. The AT rifle platoon had 24 men with 3 AT rifles, while the AT platoon had 17 men and 2 x 45mm AT guns. The Rifle Companies had three platoons of 40 men (each with 4 squads of 9 men) and a 50mm mortar platoon of 7 men and 2 x 50mm mortars. Later in the war these mortars were removed. The division had an Artillery Regiment consisting of three battalions. The battalions had three batteries, two with 4 x 76mm and one with 4 x 122m howitzers. The third battalion only had one 76mm battery. In the guard’s division, this third battalion always had three batteries and from late 1943/early 1944 most regular rifle divisions added this extra battery. The AT Battalion of the division had three batteries of 4 x 45mm AT guns. These were gradually replaced with 4 x 76mm guns as the war progressed. In late 1944 these batteries were to be replaced with 4 x 76mm self-propelled SU-76m guns, but very few divisions were so equipped with these. 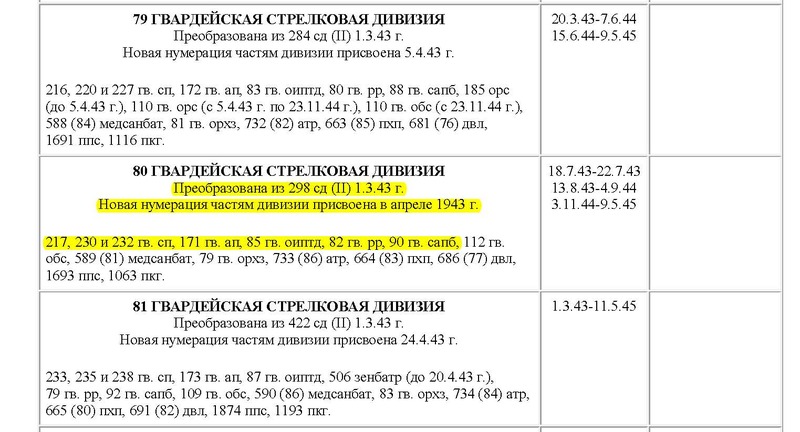 We will see that the 80th Guards Rifle Division was one of these fortunate divisions. The AT Battalion also had an AT rifle company of four platoons 23 men and 9 AT rifles. In the upper left of the Chart we see the Recon Company which had 2 infantry platoon of 32 men each. And last is the Sapper Battalion, which had 2 companies (the guard’s division had 3 companies). The battalion consisted of 3 platoons of 23 men each. Now let’s look at the rifle division strength and how that effected the battalion and companies at this stage of the war. Below is a chart taken from the Charlies Sharp rifle division books. 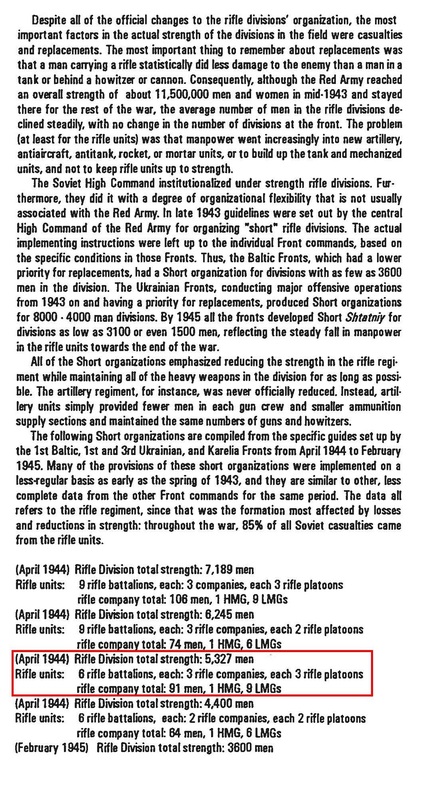 Using the approximate 5,700 men in the 80th Guards Rifle Division stated in the “Sword Behind the Shield book we can use the organization highlighted in the chart. This shows that the regiments had 6 battalions with 3 companies each, with 3 platoons each with the rifle company strength of 91 men. This tells us each regiment only had 2 battalions instead of 3. We can break this down into a platoon of 3 squads of 8 men = 24 men plus 2 men leading the platoon for a total of 26 men. 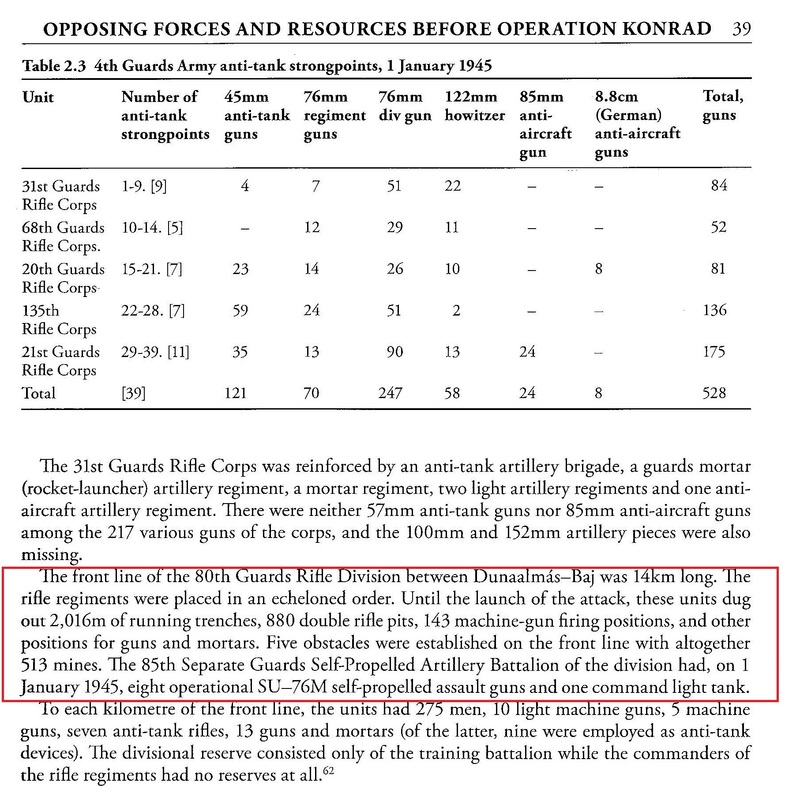 The regular Rifle divisions had a 4 men MMG section with 1 MMG, while the guard’s division had a 9 man MMG second with 2 MMG. OK let’s build our Guards Rifle Division. Looking at the OOB for the Rifle Battalions We have only 2 battalions in the regiment with each having 3 companies. Each company has 3 squads and a MG section. Next are the AT Rifle and AT platoons, and finally, the MG company and Mortar Company. The 2nd battalion has the exact same structure. Next let’s look at the Rifle Regiment. Here we see the Regimental HQ company has the 2 recon platoons along with the sapper platoon. Next, this being a guard’s rifle division, there are 2 SMG companies, followed by the Infantry Gun Company, the AT Company, the Heavy Mortar Battery, and the AT Rifle Company. Looking at the Division Structure. We have the Artillery Regiment with 3 battalions each with 3 batteries. The recon company with 2 platoon, and the Sapper Battalion with 3 companies each with 3 platoons. Now for the final unit let’s look at the AT Battalion. 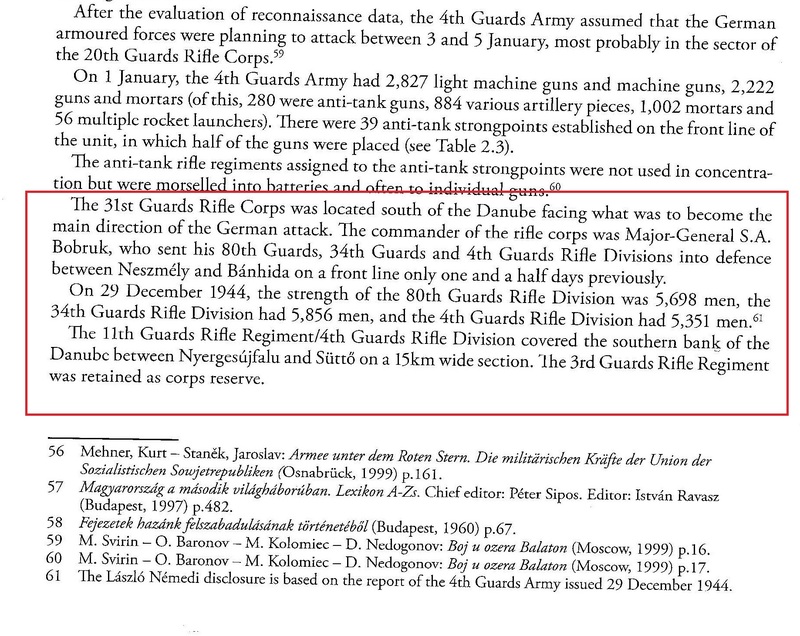 In a second page from the book “The Sword Behind the Shield” it states the 80th Guards Rifle Division had the 85th Separate Guards Self-Propelled Artillery Battalion. This unit would replace the 85th Guards AT Battalion. As these replacement units were very scarce I used one of the Perechins to verify if this was indeed the case. 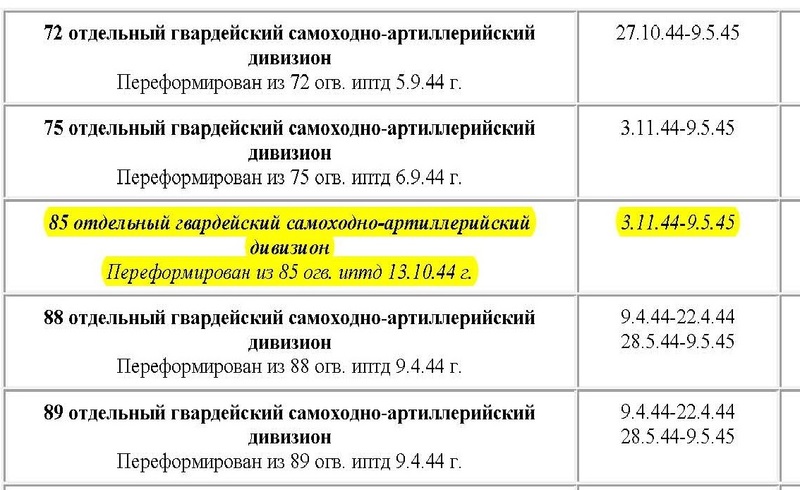 Using Perechin No 31 which is a listing of Artillery, AA, AT, Mortar, Guards Mortar, and SU battalions in the Operating Army during the War. This reads 85 Separate Guards Self Propelled Artillery battalion, converted from the 85 Separate Guards AT Battalion on October 13, 1944. The unit was activated on November 11, 1944. So now that we verified the unit did exist and operation for the Konrad battles we build this units which was very similar to the AT Battalion in the Division. It consisted of 3 batteries each with 2 platoons of 2 guns for a total of 12 SU-76m guns. We now built the entire 80th Guards Rifle Division very historically accurate. Well I am hoping that this is proving to be informative to anyone interested in OOBs and how we create them. For our next blog, we will look at creating a Tank Brigade. Very, very informative. It is quite evident by your meticulous sifting through current resources that the info used in pre-1990 war games featured some fairly inaccurate Soviet OB’s. Appreciate your work. I agree that pre 1990s (when the Russian Archives started to open up) it would have been very difficult to get accurate information. Charles Sharp did his research in the 90s for the Europa game and that is where I started with my info. I just discovered this blog. Fantastic reading and very akin to my research. I am likewise building the OOB for Operation Konrad for a similar project and have been using Sword Behind the Shield as my primary research source (the field is limited for English sourced material). 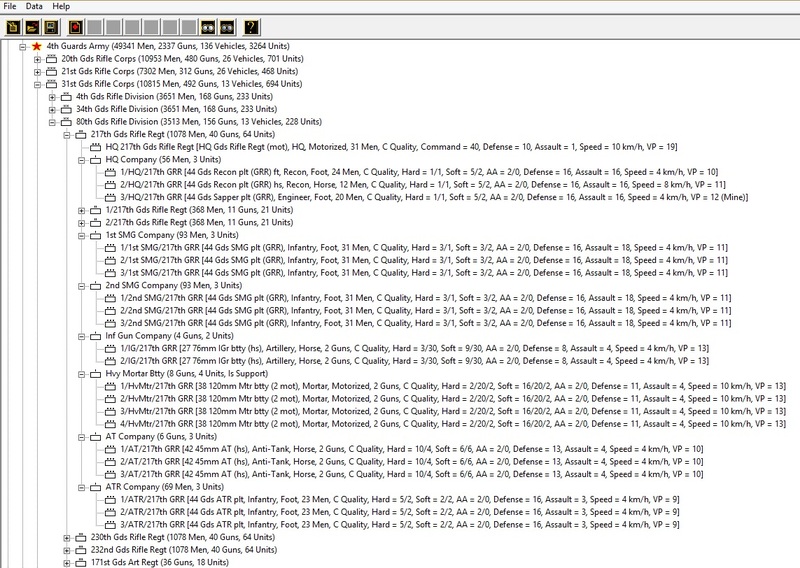 I too have also made 80 Gds Rifle Div with 2 battalions per regiment per the “short” organization listing. Számvéber notes that the 80 Gds Rifle Div deployed its Training Battalion as infantry. 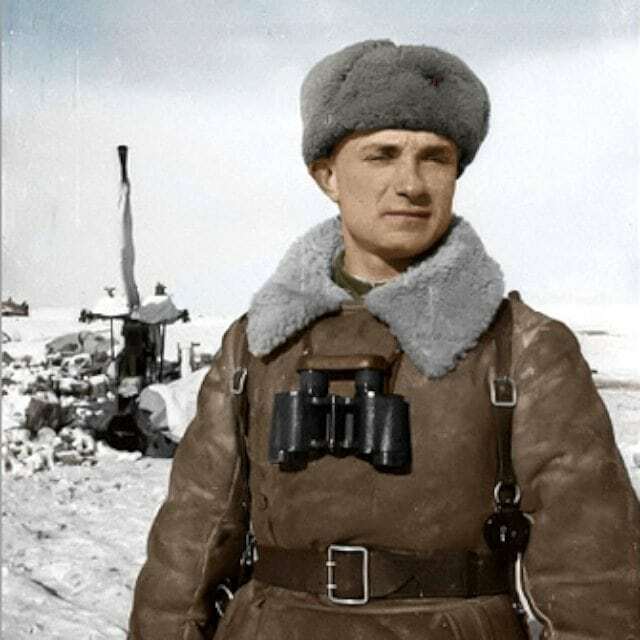 I’ve read other instances between Stalingrad, Chir River, and Velikiye Luki of Soviet Divisions doing so and have included the training battalion at least to the 80 Gds Rifle Div. I have not set the training battalion to other rifle divisions unless I read of instances there these other divisions deployed the battalion as infantry. There are like cases with German divisions using their Feldersatz battalion as infantry. In the Konrad operations, the 1. Pz Div used its Feldersatz-Btl. 73 as infantry. I have not been able to get a hold of the division strengths for all the 4th Guards Army, only a brief mention (I believe in the Sword book or the rkka armchair site) that the army had 11 of their 14 divisions with 5000-6000 men. It doesn’t say if the remaining three were larger or smaller than the 5000-6000 range. I have the Combat Journals for 3rd Ukrainian Front and 4th Gds Army for Jan 1 to Jan 31 1945, but have not had a chance to go through them for units strengths. I will see what I can come up with. I now see what you mean as I called out the Tank Brigade was at full strength. My fault at writing the blog too quickly and not checking. But yes, we build the OOB at full strength so we can make the reductions but allow for replacements.